An Inverness minister has decided to quit the Church of Scotland because he claims it is drifting away from the teachings of the Bible. The Rev Andrew McMillan of the Dalneigh and Bona congregation is unhappy about the Kirk’s shifting stance on issues like gay clergy and has decided to join the Free Church of Scotland – a decision warmly welcomed by the denomination. 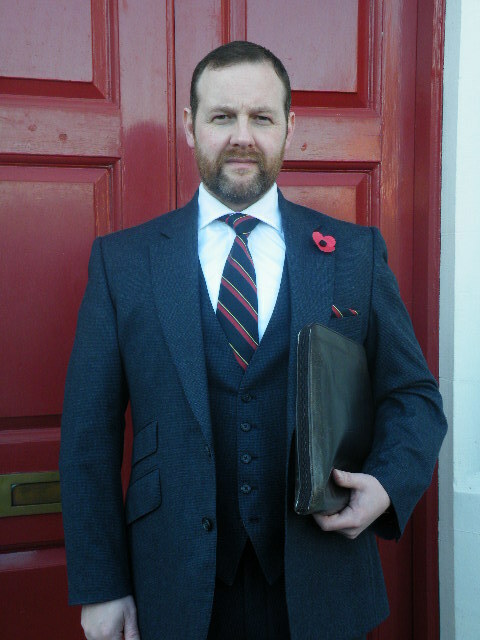 The 38-year-old former Royal Marine commando and police officer – the 19th Kirk minister to quit in recent times – claimed the Free Church was “unswerving in its commitment to the Bible”. Mr McMillan is the first minister to leave the Presbytery of Inverness, which voted against controversial plans to give congregations the freedom to appoint a person in a gay relationship if they wished. The minister, who is expected to leave his post at the end of February and take some of his flock with him, hopes to set up a new Free Church congregation in the west of Inverness in March. The minister said another reason for his departure were the varying views within the Kirk on assisted suicide which is being discussed at Holyrood today. The Rev Scott Rennie, whose appointment to Queen’s Cross Church in Aberdeen in 2009 sparked the gay minister debate, has said giving terminally ill people the choice of deciding their own fate would be “kind”. But the 42-year-old has admitted he struggled to see how a regulatory framework could be set up that was “safe and free from abuse”. Mr McMillan said: “In times past, it would be a no-brainer that the Church of Scotland would unanimously oppose the deliberate killing of an innocent life – as the sixth commandment says ‘do not kill’. “Regrettably, even on such a basic issue like this there is deep division amongst ministers. The Rev George Whyte, acting principal clerk of the Church of Scotland, said it was saddened by Mr McMillan’s decision to leave but arrangements were already in place to support the congregation. He said congregations affected by splits, largely sparked by the gay clergy issue, have enjoyed a “renewal in commitment and energy” and a new minister was joining Stornoway High Church in two weeks time.